SOLAR PANEL MOUNTING SYSTEMS AND RACKING. 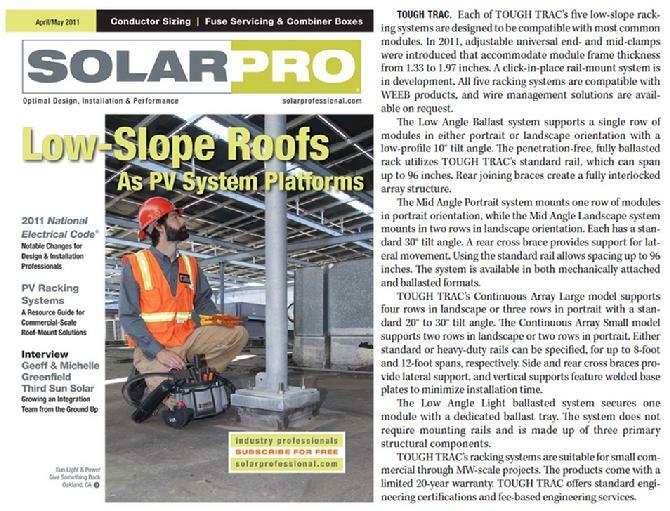 We at Tough Trac would like to thank the media who has taken there time to submit articles concerning our racking. Please click on their links to view the whole article and magazine.